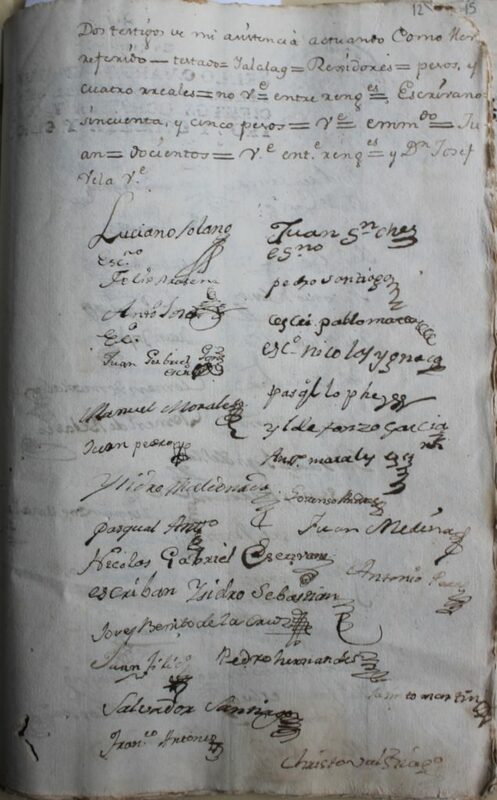 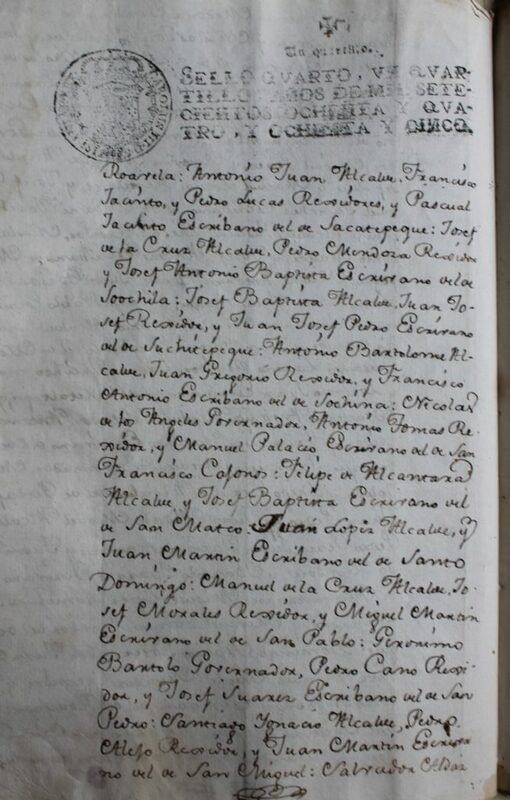 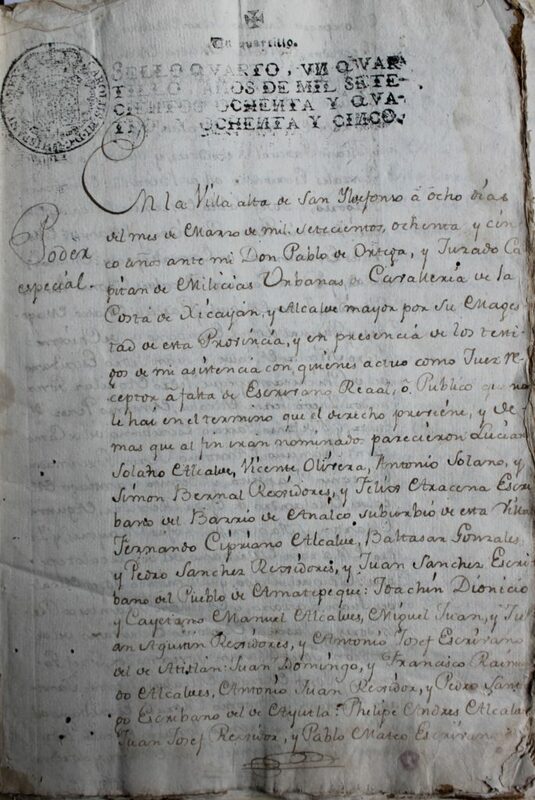 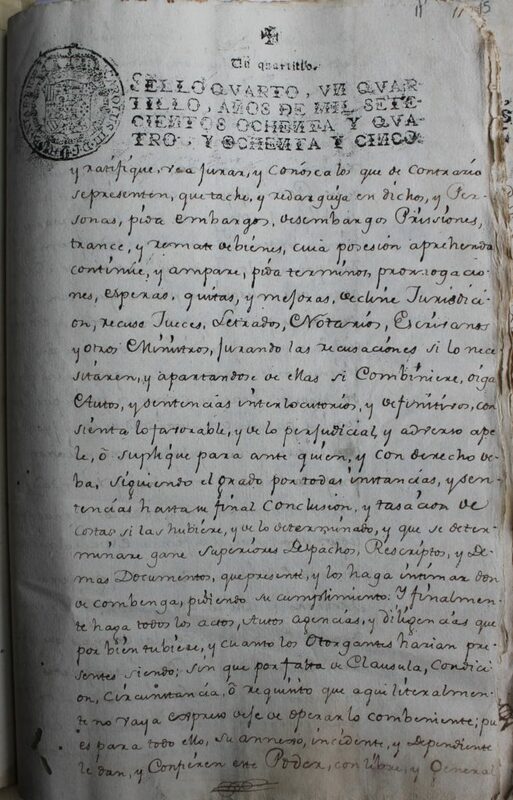 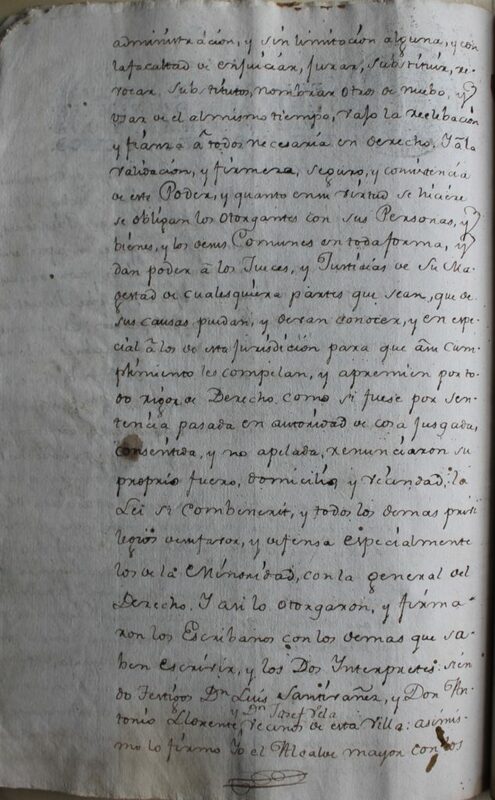 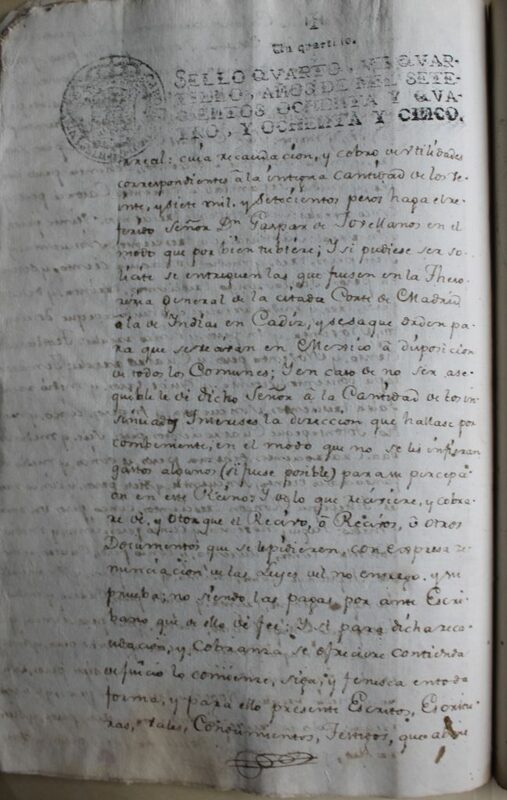 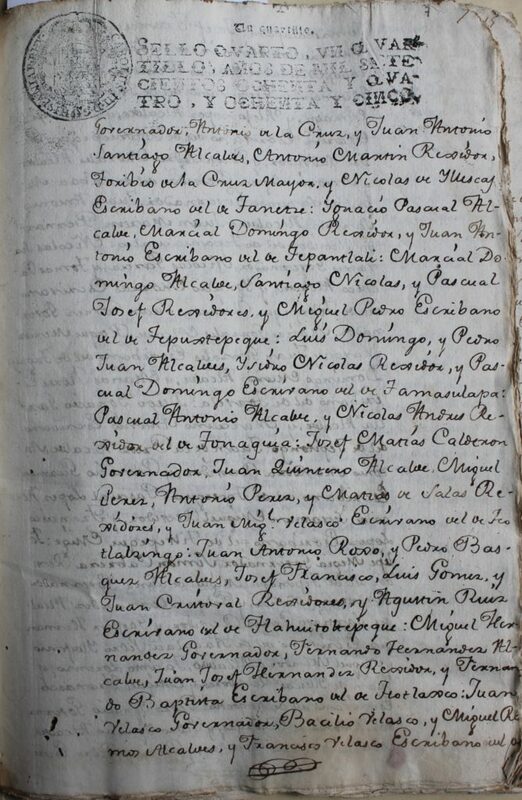 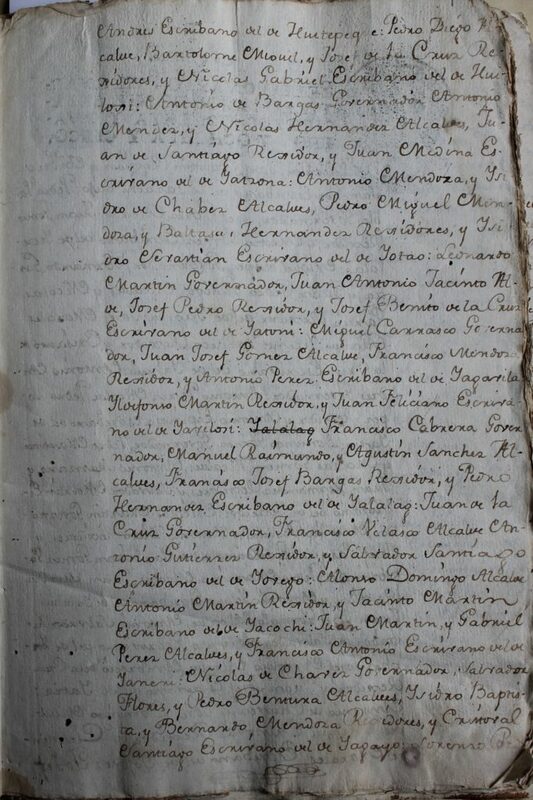 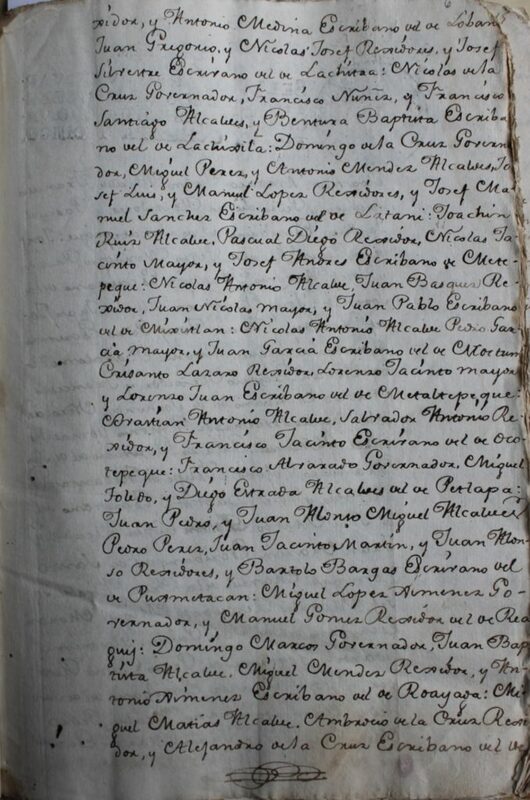 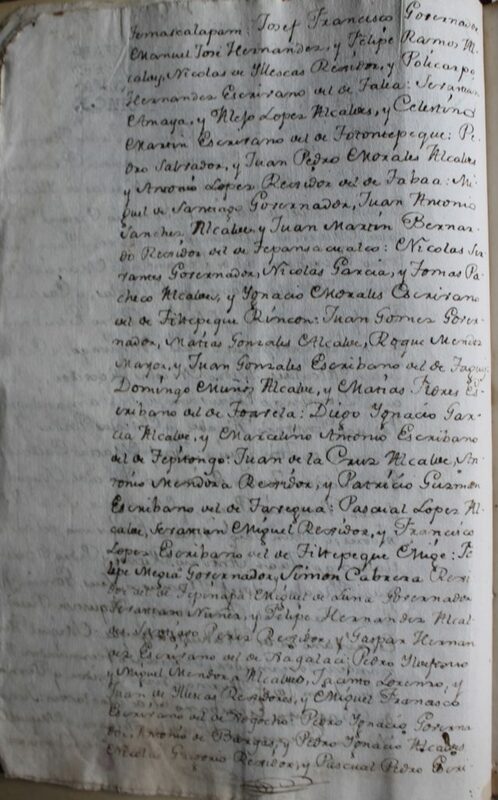 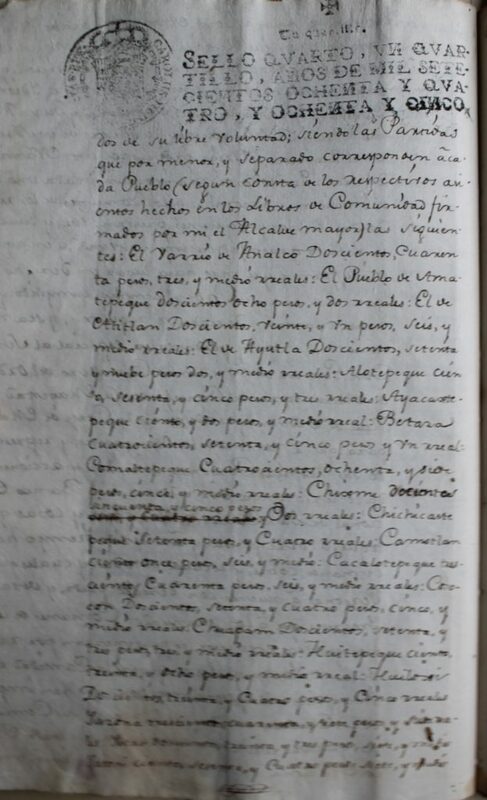 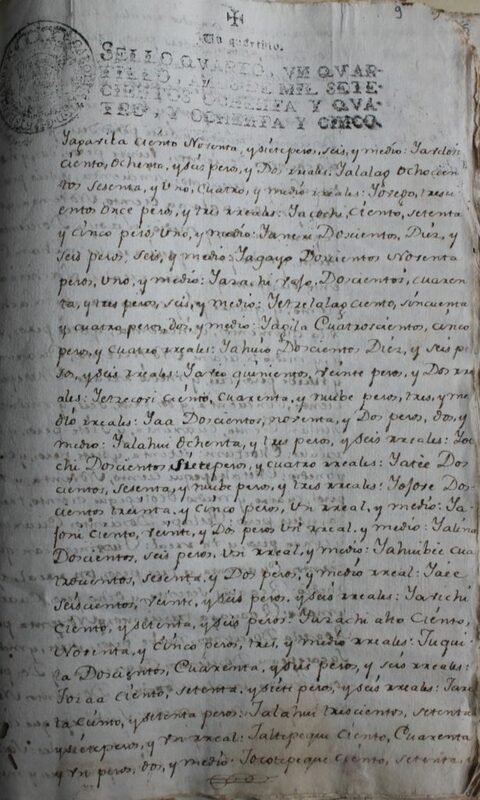 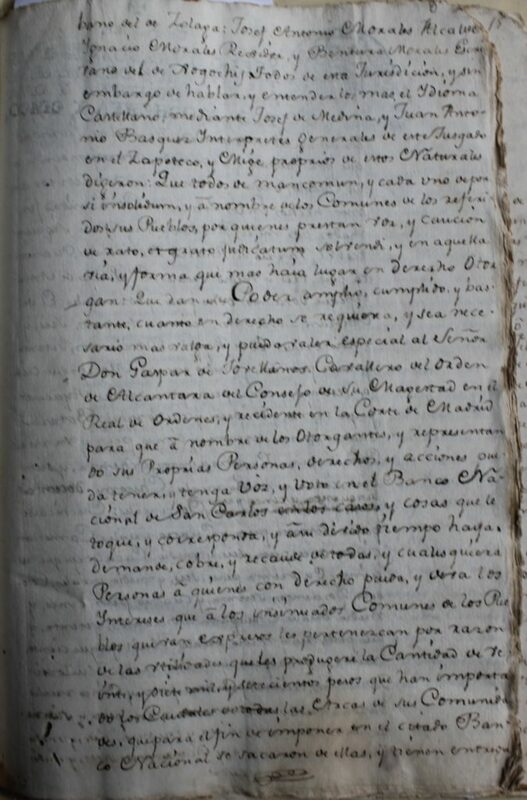 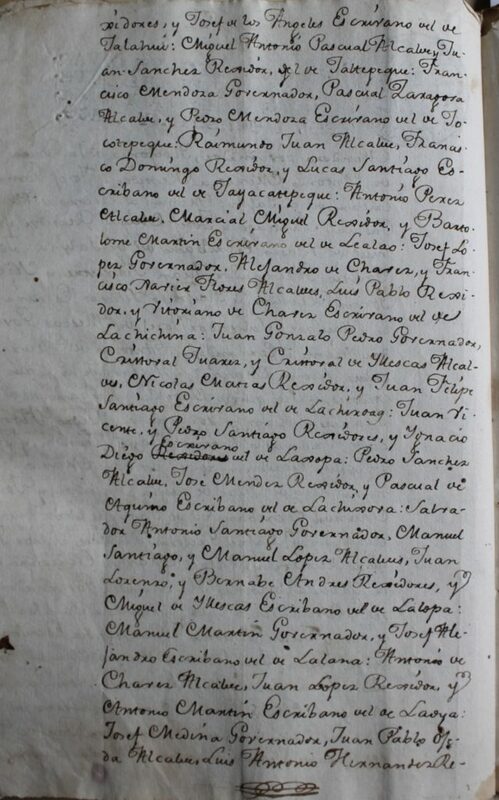 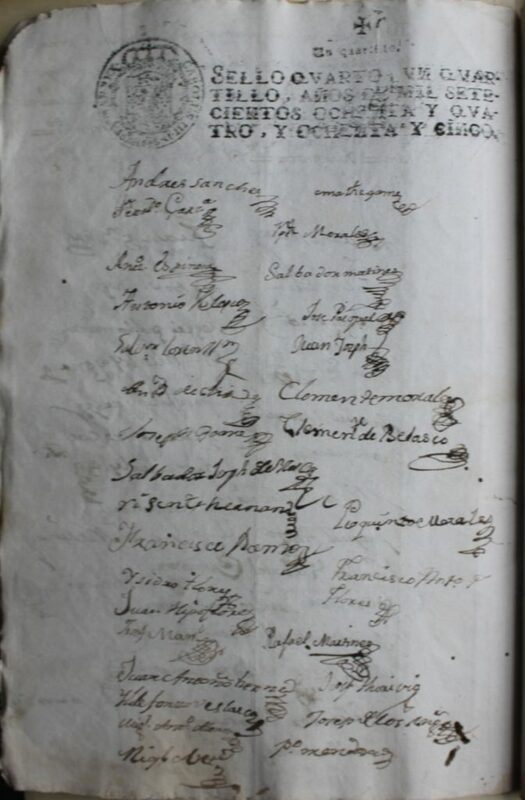 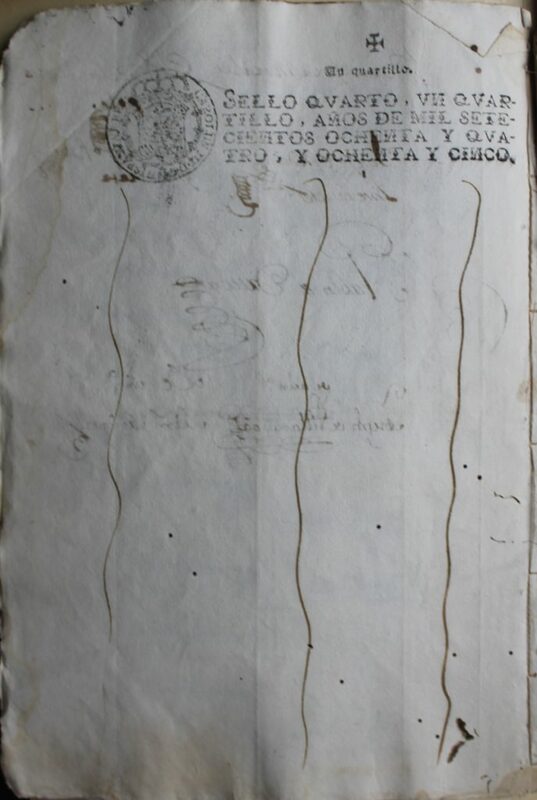 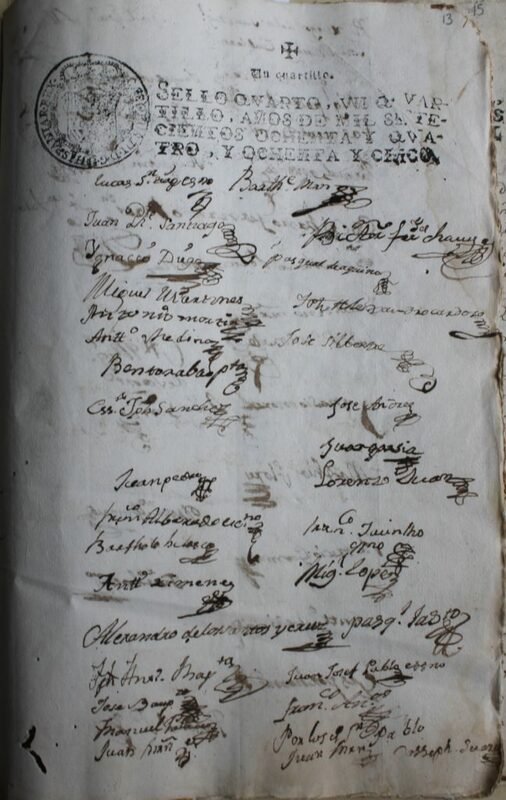 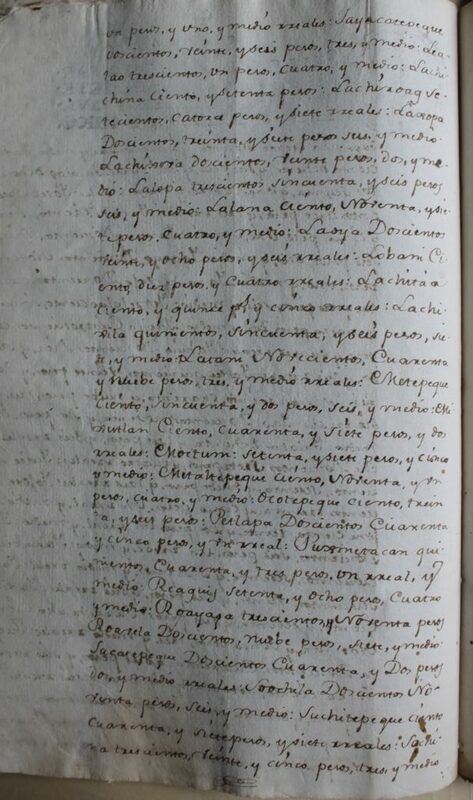 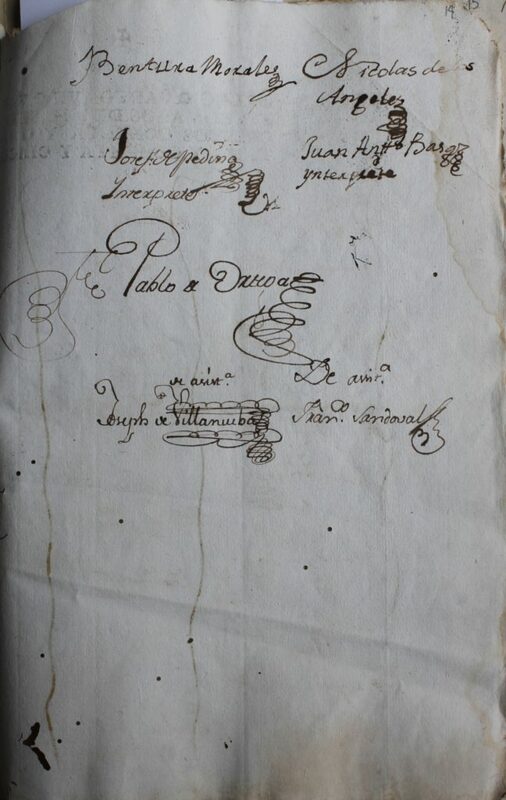 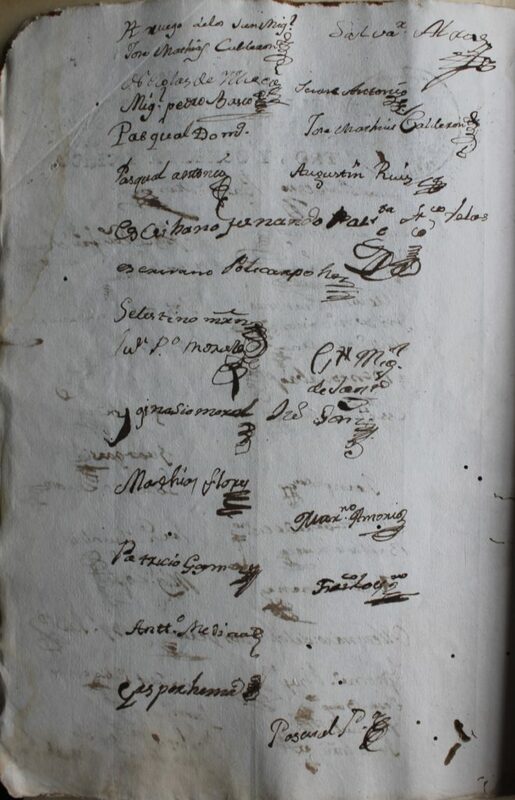 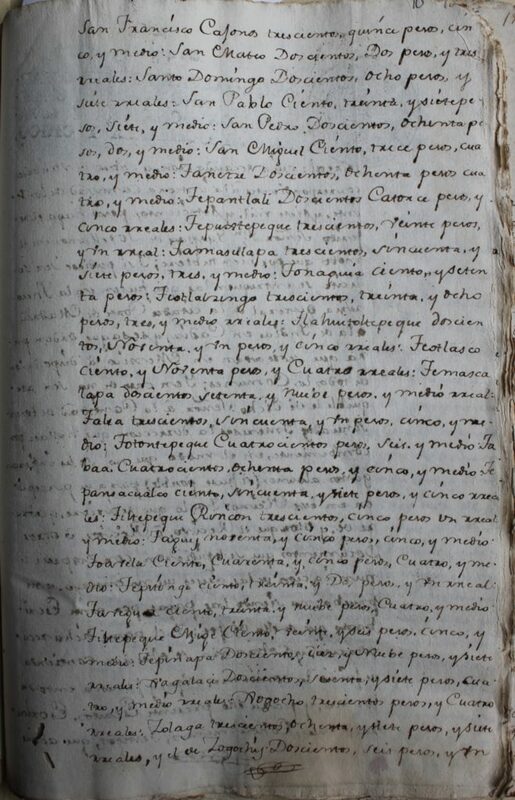 1785 letter of attorney authorizing Don Juan Gaspar Melchor de Jovellanos with power of attorney, signed by all of Villa Alta’s native communities. 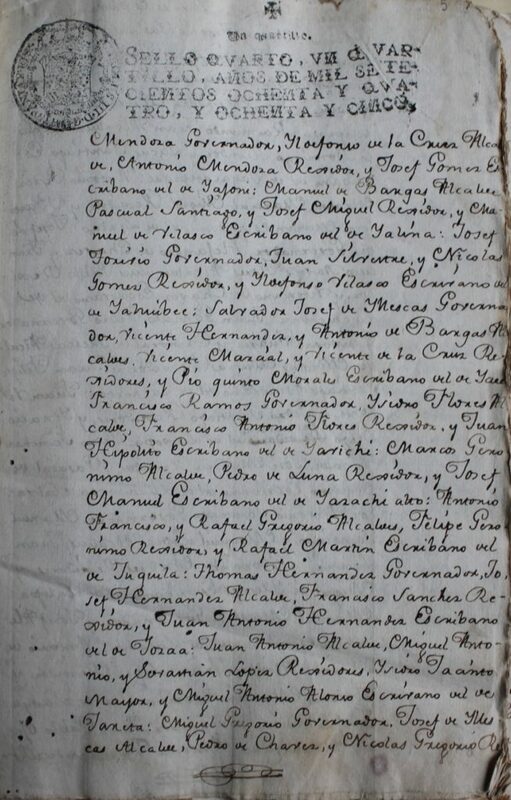 Credit: Archivo Histórico Judicial de Oaxaca. 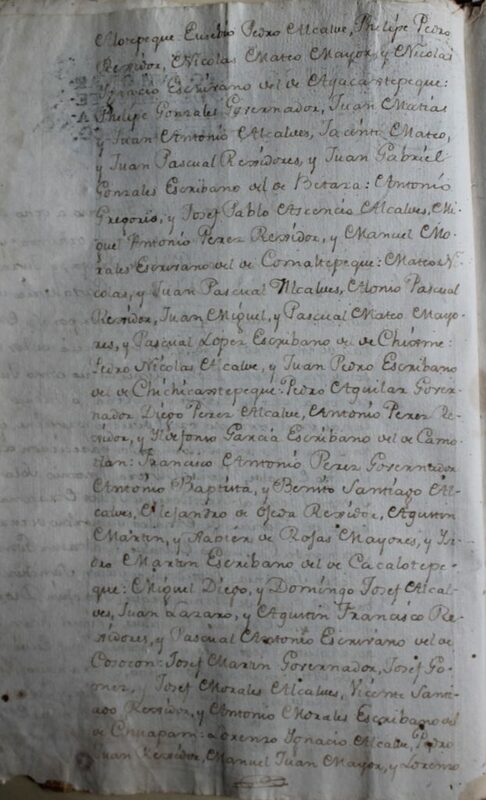 Villa Alta Civil Legajo 25 Exp.6.01.